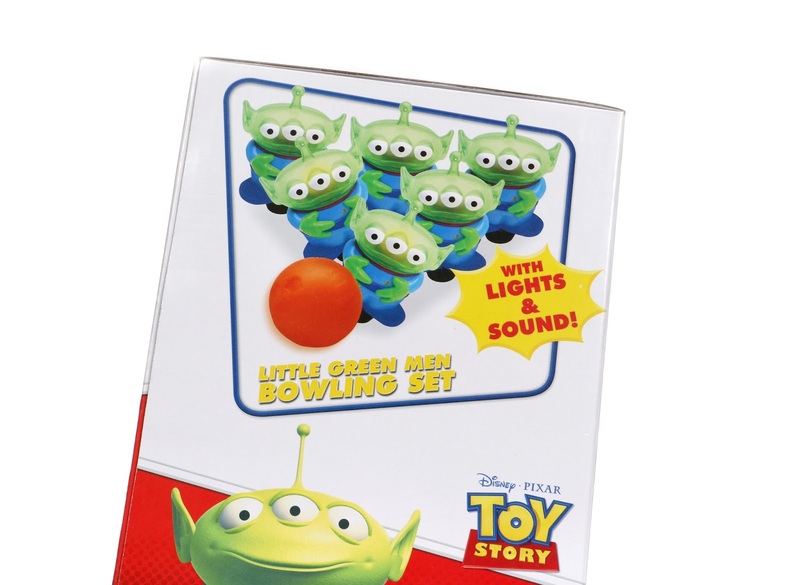 Dan the Pixar Fan: Toy Story: Little Green Men Bowling Set—Lights & Sound! 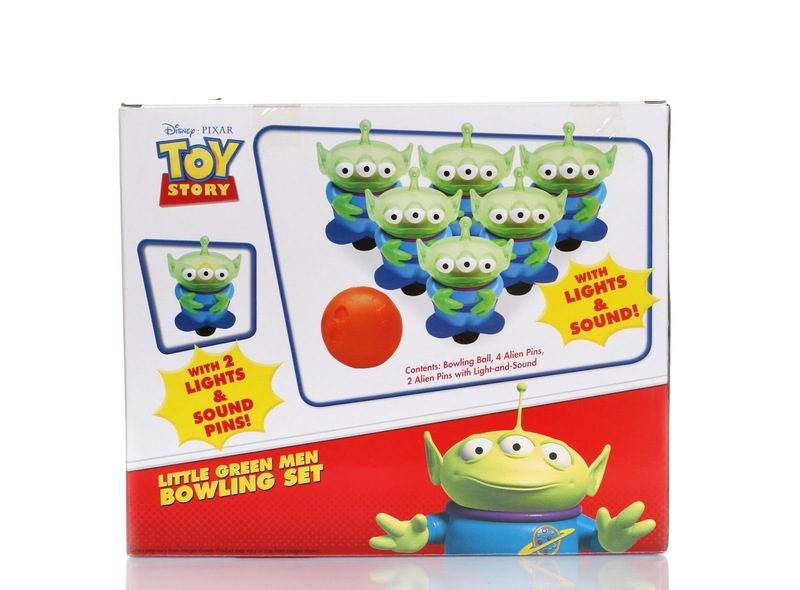 Toy Story: Little Green Men Bowling Set—Lights & Sound! 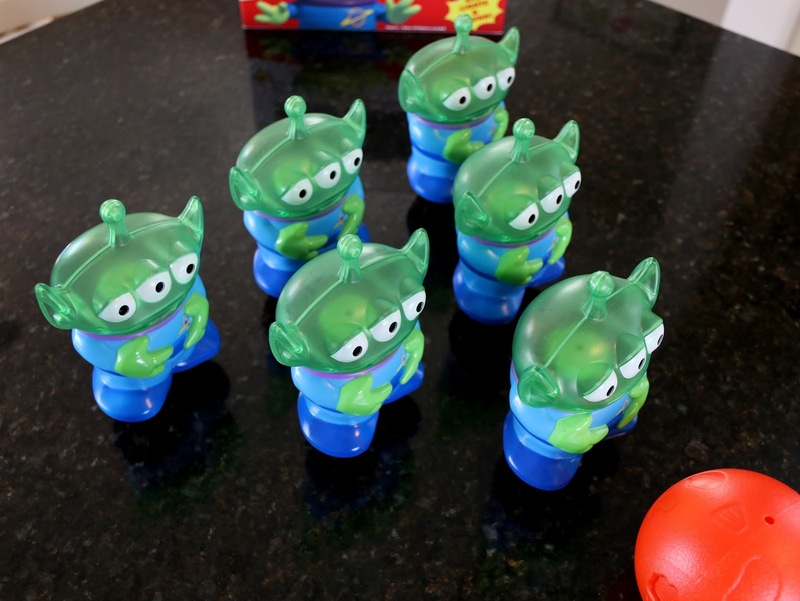 I spotted this Toy Story alien bowling set at Disney World during our most recent trip back in May and I couldn't resist it. It was too unique, silly and fun to pass up! 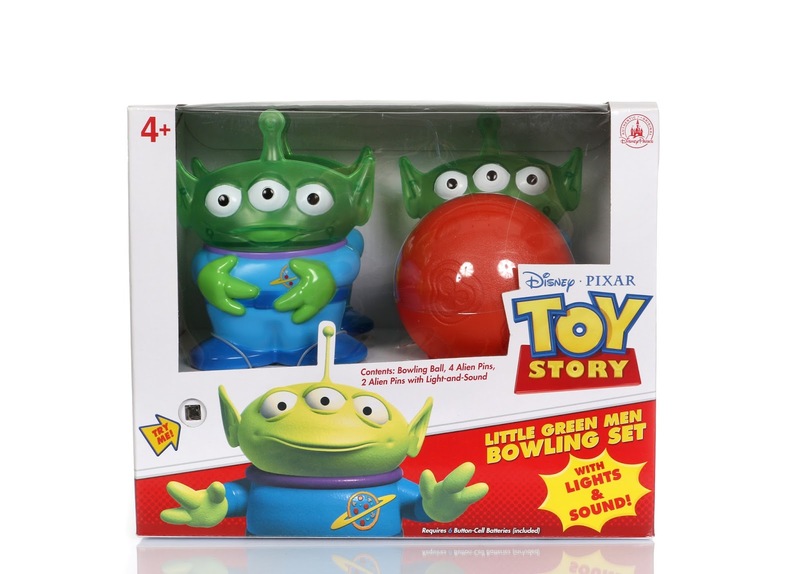 Included in the box are six Little Green Men pins and an asteroid inspired bowling ball. 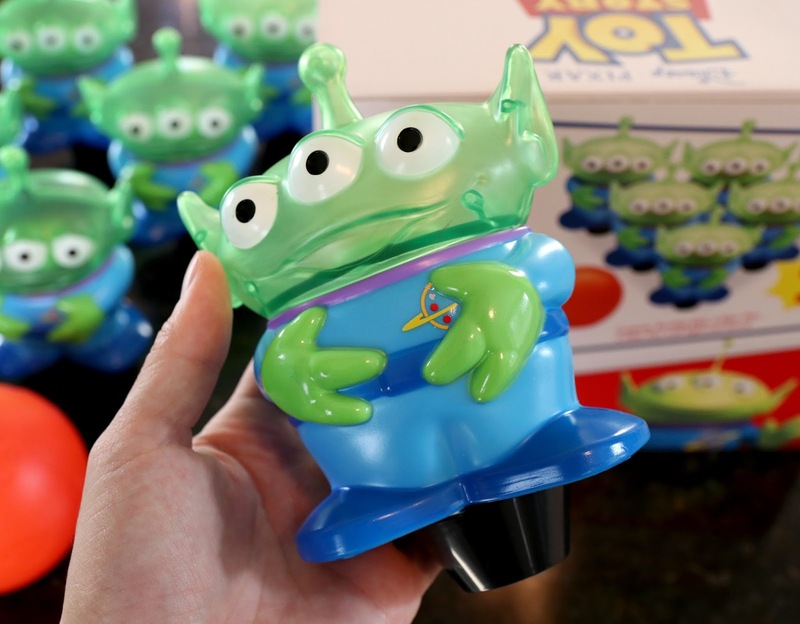 Each alien is around 6" tall and made of a lightweight translucent plastic; two of which even feature lights and phrases! 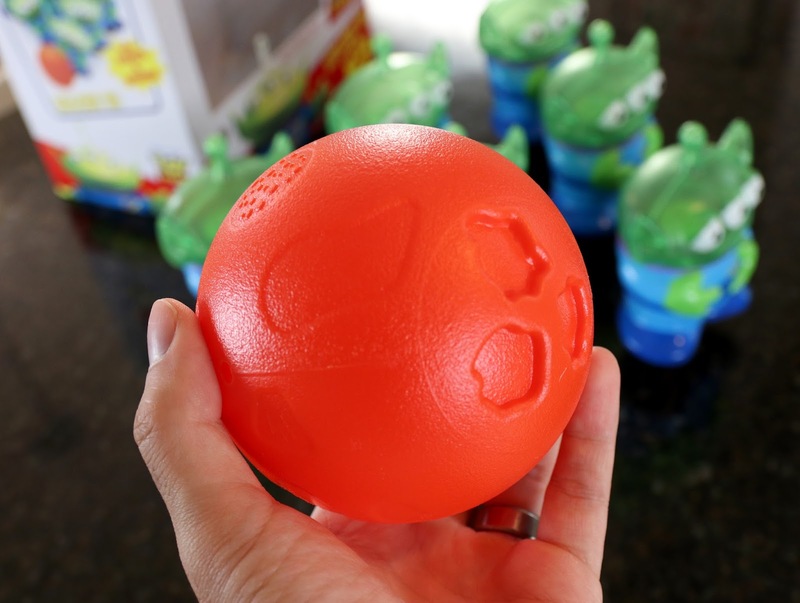 The ball is also a lightweight, hollow plastic and measures about 12" in diameter. Each LGM is connected to a narrow stand on the bottom to allow them to be knocked over more easily. 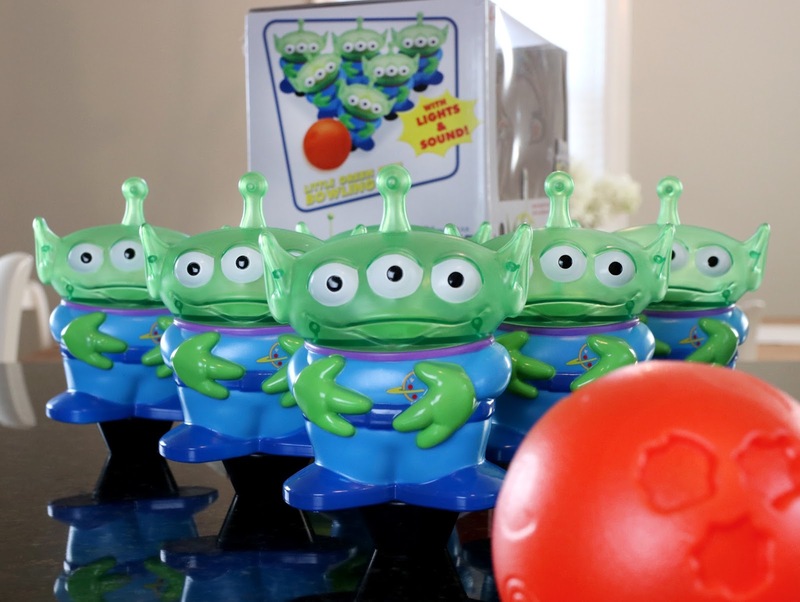 The lights and sounds of the two electronic aliens are motion activated and will automatically go off when the alien is toppled, picked up or moved in any way. My only complaint is that there doesn't seem to be an on/off switch, so sometimes even the slightest movement will send them into a talking spree. I go on to a better place! The ball chooses who will go and who will stay! The light bulbs in the aliens are pretty small and essentially just illuminate their heads. For the best effect, play at night or with the lights dimmed. Here's a brief demonstration video so you can hear what they sound like! My favorite line is "do not anger the ball..." It just cracks me up for some reason. The two electronic LGMs require three button cell batteries (included). I'll be putting this away for my kids to inherit one day, but in the mean time this is a really fun set that me and my nephew Noah have fun playing with. For young Toy Story fans (and even their parents), you can't go wrong here! If you're interested in grabbing this for your collection, be sure to pick it up during your next visit to Disney World or Disneyland. It's also available to order off of the Shop Disney Parks app, which is convenient for those not going to the parks anytime soon! Retail is $24.99.